At first, it seemed like a pretty legitimate way to approach writing. But then I saw it again…and again…and again…and the more I reread it, the less I agreed with it. The more I saw it, read through it, and thought about it, the more it bugged me. This isn’t how I write. And I understand that everyone has a different style of what works for them when it comes to writing. And I understand that the author is a screenwriter, but this post is clearly aimed at all forms of writing fiction. Here’s the thing: this post makes writing so formulaic. Do this. Think this way. 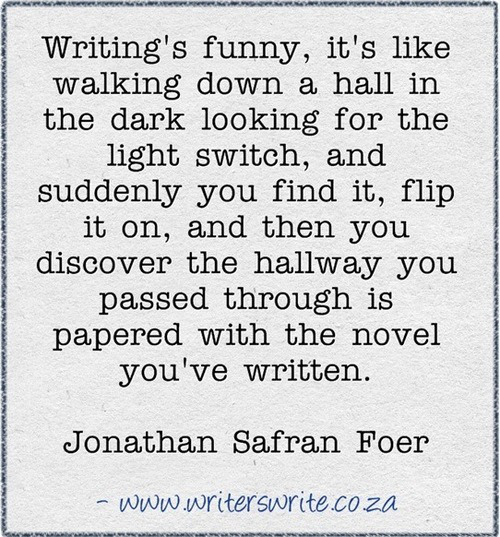 Then write. For people who use outlines, who take a logical, planned-out approach to writing, maybe this checklist works. But I love letting scenes write themselves. I love sitting in front of a blank page on my laptop with only a vague understanding of the beginning of a scene and seeing what happens. My most creative characters, plot lines, and discoveries have been born from scenes I didn’t know I was writing until they were written. I wrote my entire novel Devil May Care with no outline; it was literally a short story I wrote a few pages of a year ago, then decided to pick up and finish, that turned into a 110,000 word book. Does this mean that my summer of editing will be more work? Of course. But I believe that if I had taken John August’s route, of careful planning before I hit the keyboard, I never would have gotten the depth of plot or characters that developed from simply wandering through a blank page and the expanse of my mind. The first steps are useful, I guess. They set up the exposition for the author and establish the goals and components of the scene. But even that is more than I usually do. What characters will be in the scene are the ones that decide to show up. What is the worst thing that can happen will occur to me when I’m knee-deep into the scene with my main character, watching it unfold around us. The most surprising thing that could happen will not be the first point I think of when I sit down to write, it will be something I stumble upon. Three ways it could begin? Sure, why not? But even that I wouldn’t spend very much time on it. I want to start writing. The length of the scene (#6) is a variable that I don’t really care about–again, I don’t know what is going to happen, why am I giving myself a word limit? And on #2, the dangers of omitting the scene? Why would I dwell on that when I haven’t figured out what amazing plot points the scene will reveal to me? #8 and #9 are useless and almost debilitating for my creative process based on blind discovery. #10 is obvious. #11 is an arbitrary guestimate at how many scenes a book/screenplay will have. Yet again, there is no reason to set number limits or goals when going into a project–let it figure itself out. Clearly there is a major difference between John August’s and my own approach to writing. His is formulaic, planned out, logical, orderly. I relish in the discovery of writing. Maybe I sound like a crazy person, but my characters tell me what they want to do in any given scene. They nudge me in the right direction of a surprising reveal or an awkward confrontation. I love this. If you write with a checklist, go for it. But I’ll keep my method. Writing should surprise the author as much as it surprises the reader. If we go to the keyboard with everything planned out, where is the room for suspense, surprise, reveal, or discovery? And I like it this way. Hell and Styx #9: Where Are You From? Oh totally. I pantsed my first book – which meant at least three further rewrites to get the characters and the plots right. Now I’m trying to plan my second – which sort of saps the fun out of it. The characters evolve as you put the words into their mouths. And the plot is how your character reacts to things.